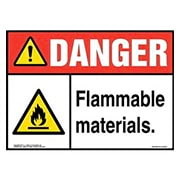 Get the regulatory and safety signs and labels you need to meet OSHA and DOT requirements, alert your employees to safety hazards, and reinforce company safety message and training. 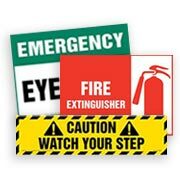 Choose from a wide range of safety and compliance signs and labels at affordable prices, available in a variety of sizes and materials to suit your specific needs! Shop our best-value, most popular signs and labels. Or, if you’re looking to display a unique, personalized message, check out our 9 custom sign builders or call 800-327-6868 for custom labels. How important is the right signage for your safety program? Find out now by downloading our free whitepaper. on sign orders over $50! * FREE ground shipping only. Discount will be reflected in your shopping cart. Offer does not apply to hardware, posts, accessories, existing offers, previous purchases, special order merchandise or products purchased for resale. Shipping charges will be applied to other product purchases included with sign and label orders. Offer ends 12/31/19. Enjoy same day shipping on our most popular signs for no additional cost. The Occupational Safety and Health Administration (OSHA) signs follow regulations to keep workers and visitors safe. The American National Standards Institute (ANSI) signs use the internationally recognized ANSI graphics to keep your workplace safe and secure. 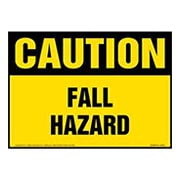 Help reduce the number of accidents and injuries, increase efficiency, and promote safe behavior using workplace safety signs. 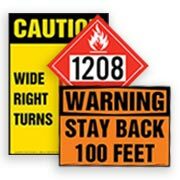 Keep truck drivers and motorists safe by communicating critical information with signs to help prevent accidents and near misses. NEW International Lithium Battery Safety Labels — Shop now!